Imagine walking into an Apple Store on the eve of a major holiday. It’s noisy, it’s chaotic, and it almost makes you turn on your heels and walk out the door. At that precise moment, a store employee suddenly appears by your side with a warm greeting, engages you with just the right questions and before you realize it, you’re at the checkout counter with the latest iGadget in hand. Live chat lets us mimic this wonderful sales experience online. It hits the sweet spot between being personal and scalable, and what’s more, it connects you with the people already in your store who are already interested in buying your product. On average, at Intercom we’ve found that visitors who chat with businesses are 82% more likely to convert to users. However, too often businesses shy away from installing live chat on their websites for fear they’ll “open the floodgates” to useless conversations that lead to Nowheresville (Population: You). This fear is completely valid if your approach to live chat is to install it and treat every website visitor ASAP, treating all visitors equally. Live chat should be used proactively, too. The key to having productive conversations with high quality leads is to trigger your messages on high intent pages. For instance, would you rather chat with visitors on your homepage or your pricing page, where the intent to buy is higher? 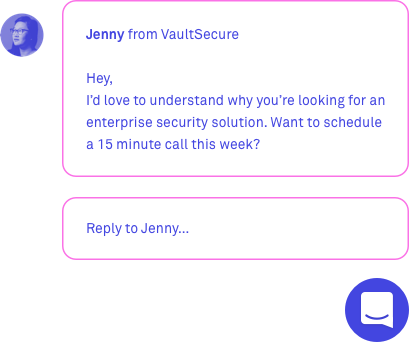 At Intercom, we call these proactive visitor auto messages (VAMs), but this is the same as any message you trigger conditionally to visitors of your website, before they log in. In this guide, you’ll learn how to use live chat proactively to capture the best leads from your website, by targeting the right visitors with the right message at the right time. To continue learning about writing proactive messages to leads, and access to our future starter kits, enter your email below. Sure, you might run conferences and, publish blog posts, but a live chat messenger is often the first place a prospect has a meaningful experience with your brand. It’s where virtual strangers become loyal customers. Target the right visitors with the right message. Messages like: “Hey 👋 Happy to help” add little value. Instead, ask a specific question like “Do you need help with our pricing plan?” or “What communication challenges does your company face?” Always prompt people to start a conversation with you. Be selective with where you place your live chat widget. Placing it on landing pages where the intent to purchase is high will improve the quantity of high quality conversations coming in. For most SaaS companies – including ours – the most effective place to start is your pricing page. Would you rather chat with a faceless company logo, or “Jess from Intercom”? Use real names and photos in your live chat tool, especially when initiating conversations. Although our instinct is often to hide behind a logo or company name, meaningful conversations occur when a visitor sees you as a human being, not a faceless, nameless corporate logo. Just as in real life, if your opening line isn’t working, it’s time to adjust. Ideally you’re A/B testing all your messages, perhaps comparing lead-in questions, calls-to-action, emoji or no emoji, etc. A successful message will see high reply rates. Always be testing and learning. Regularly check in on how your messages are performing. Just as in real life, a surefire way to annoy your visitors is to prompt a live chat conversation the instant someone lands on your website. Wait at least five seconds or so to let your visitor get their bearings before you prompt them to chat. 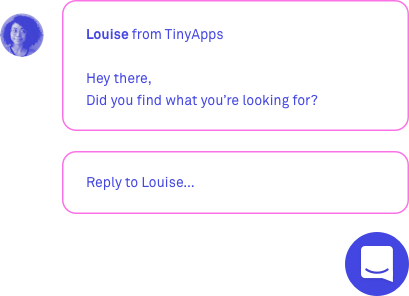 As anyone who’s ever manned a live chat tool will tell you, you’re often repeating yourself: “What’s your email?” “What’s your company size?” “Here’s a doc that answers your question.” Use chatbots to handle the repetitive, mindless aspects of a conversation. This allows your human teammates to do what humans do best: listen, empathize and understand intent. Just because you have live chat installed on your website doesn’t mean you need to respond immediately. Not only will this burn out your sales team, it’s not even true! A far more important practice is to set visible expectations for when a visitor can expect a response. This is just part of being considerate to your end users – don’t just leave them hanging at the end of a conversation. Above all, be friendly and personal in your messages. Your visitors are still strangers, so the more you can do to show you’re a friendly human the better. Online, the best way to achieve this is with rich content such as GIFs, emoji or perhaps even a video message. Welcome! Can I point you in the right direction? Hi. Let me know if you have any questions while you’re looking around. To avoid missing important leads, set your message to send during your office hours, when your team is available to respond. Live chat can also play a strategic role in marketing nurture campaigns. 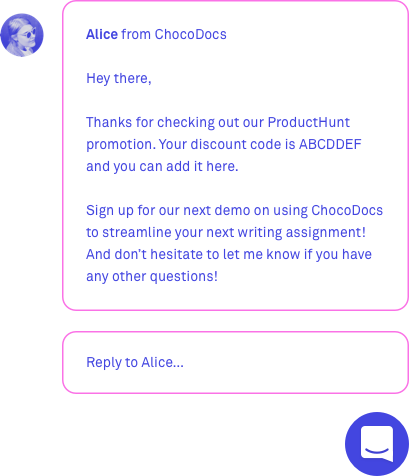 For instance, if you’re offering a promotion on an external website like Product Hunt, prompt a unique message to visitors coming in through this site and offer them something that’ll help them be more successful while using your product, say, a piece of content. 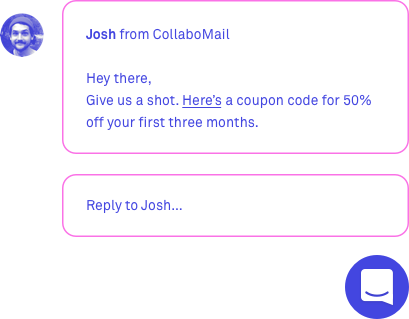 Too often we default to email to communicate with this audience, but you’re asking a lot of them: go to your website and check their inbox for a promotion code. Make it easy. Encourage people to ask questions as they get started with your promotion. Repeated visits and no conversion indicates some sort of hesitancy. You might be able to overcome this by proactively offering a discount or extended trial of your product. 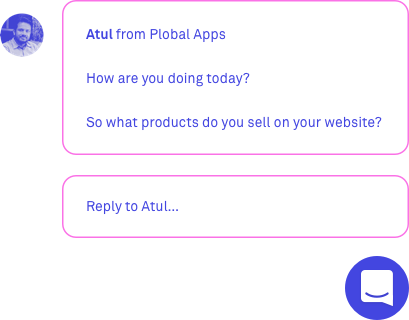 Proactive live chat is a great way to start conversations with high value website visitors, both personally and at scale. That said, you’ll want to engage these prospects offline and 1:1 as soon as possible. Use this message to facilitate a VIP service, such as a personalized demo. How do you identify these visitors? 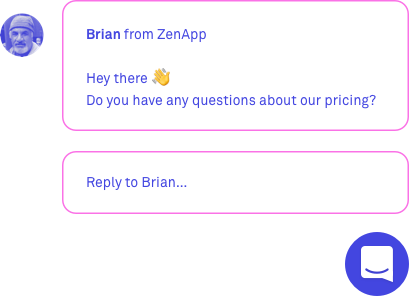 Integrate your live chat tool to an intelligence product (at Intercom we use and love Clearbit Reveal) so you can quickly see even more data and send a targeted messages. For example, you can target your message to visitors who work in companies with over 100 employees, who raised over $1,000,000 and were founded recently. Wait a few seconds before triggering a live chat prompt on your pricing page. After all, this further separates the people who accidentally landed on this page versus those who intended to be there. Plobal Apps is a platform that helps Shopify store owners build and launch native mobile apps for their stores instantly. When we first launched in 2016, we did what many startups do: capture leads through a lead form. Initially, we used these forms to schedule a product demo. Hence, our sales team depended on the conversion rate of our landing pages, which were in the range of only 5-7% initially. That’s when we came across Intercom’s live chat product for sales teams. When we started using Intercom, we saw a drastic change in our sales process. We realized that talking to our visitors as soon as they landed on our website had much better conversion rates and shorter sales cycles compared to enquiries generated via forms– the number of product demos scheduled increased 4X! We analyzed and tested hundreds of visitor auto message copy. What we found was that messages with context, and that asked for something specific, worked best. We wrote messages to simulate our behavior when we meet someone in real life. In that scenario we wouldn’t just go up to someone and ask if they needed help; we’d start a conversation that aims to understand more about their business, and show examples of our best apps to illustrate how our product might benefit them. These messages see reply rates of 7-8%; almost a 4x increase on our initial base numbers of 1-2%! But the interesting part wasn’t just the volume of replies that we were getting, it was the quality of replies. Our sales teams were able to have extremely high quality discussions about our prospects’ businesses, their products, what their objectives were; which in turn were driving up our sales conversion rates.